If you’ve not bought a new helmet for a while or want to find a refresher on some of the latest features, check out our guide below. 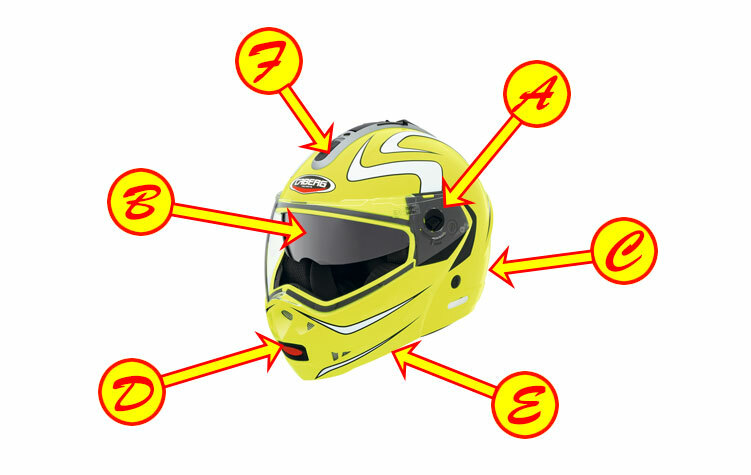 We’ve hyperlinked some of the terms for you to click through for more information – or sometimes to show you crash helmets with a particular feature. We bang on about SHARP because if you’re going to buy a crash helmet, you might as well stack the deck in your favour and buy one that’s going to do a good job in an accident. Buy a helmet that’s been SHARP tested and scored four, or preferably five stars, and it stands a good chance of keeping your skull intact in an accident. Anyone who’s been stuck with a leaky or misty visor knows how important visors are to living with a helmet. Look for a visor that’s Pinlock-ready and that’s got a nice wide aperture. 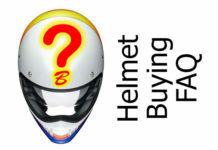 Thankfully you can click those words in the link cloud to the right to find helmets with those features. Go for a helmet with a visor that’s quick-change too, that’ll make it much easier to clean. They’re great if you fancy a bit more wind in your face and the convenience of actually being able to speak to someone or make a call with your helmet on. 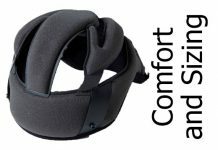 If you’ve not had one before, they’re usually a bit heavier and noisier than a full face and the weight distribution can seem a bit odd when you wear it. They’re often slightly compromised in terms of little things like visor sealing or ventilation so be prepared for the occasional niggle. If you want to go on a track day, buy a crash helmet with a double-d ring fastener as only those are ACU approved and get the ACU gold sticker on the back. D-rings are pretty easy to use too. Micrometric fasteners are in vogue at the moment – a ratcheted strip slots into a hole and shuts tight, pull a tab to release. They’re even easier to use so don’t be put off. More and more folks are using bluetooth gubbins with their helmets. So check your helmet has got the right cut-aways and space for your speakers and microphone. 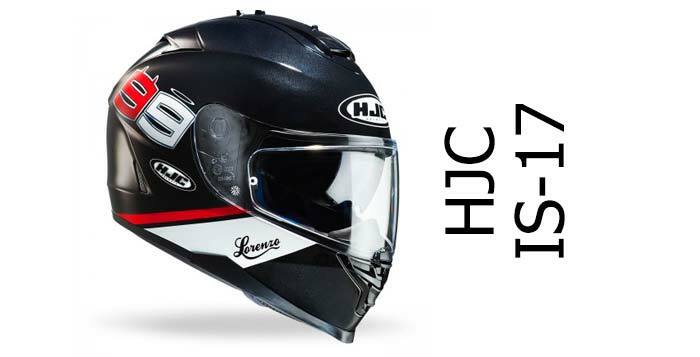 Many of the latest helmets come with little removable areas in the lining – again check the feature cloud to the right to find helmets that are communicator ready. Getting the right fitting is absolutely crucial. Your helmet should be reasonably tight all round but without pressure points otherwise you’ll suffer on longer rides. 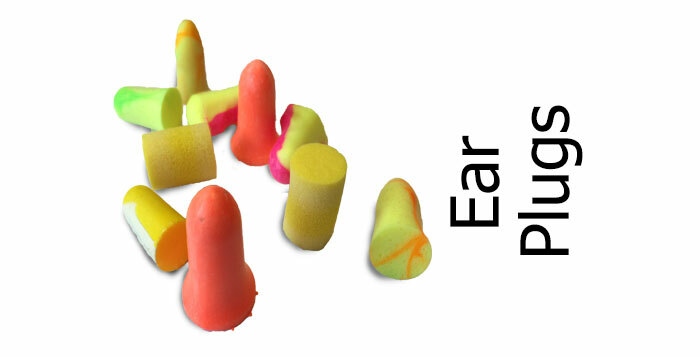 The polystyrene liner will usually give a little after you buy it – but not too much. 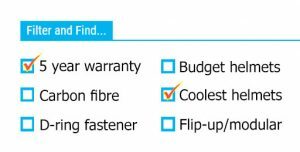 See our fitting guide for more info. Helmets are broadly pretty good for ventilation these days (but check our best vented helmets list to make sure). A chin vent, one or two forehead vents and some exhaust vents should do the job to pull the air in and over the scalp – and check the front vents are all be closeable. The chin bar vent needs to be able to pull a decent amount of air up across the visor to help with demisting. Our reviews will tell you if they do or not. Many full face and modular lids have built-in sun visors. Sun visors are secondary tinted visors that slide down inside the main clear visor, usually operated by a small lever or slider on top of the helmet or to one side. They can be very useful though they can fog on cold days and it’s worth checking that it’s anti-scratch too as some older ones aren’t. Sun visors are becoming an essential item for lots of riders though. We rate helmets on a range of important features that mean a helmet will work well when you buy it. You can find our top 10 list here. Get one of these helmets and the chances are you’ll be happy with it. When you buy your helmet online, make sure you go for a retailer who’ll replace or refund without any quibbles. Many retailers have very specific returns policies (you’ve gotta call for returns number, use their carriers and pay for it yourself, keep all stickers on etc. etc.) so go for one who are a bit more relaxed. Free delivery is good. Long returns policy is good – some even do 365 days. They’ll all want the helmet returning in perfect, unused condition though so don’t go for a blast on your bike before deciding it’s not right. Some of the links on this site take you to Sportsbikeshop. 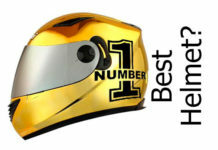 We reckon they’re one of the best around (with free delivery and 365 day returns) so if you’re in the market for a helmet or some other gear, please click this link and browse around. If you buy from there, we get a small % from the sale, which is how we fund the site – so thanks lots! *We’ve also analysed SHARP helmet safety data to find out which types of helmet materials are safest and lightest and discovered if flip-up crash helmets are as safe as full face. Read our guide here.